'Husky' is a 7-month old Black Beauty. He is Fully Vaccinated and Dewormed. 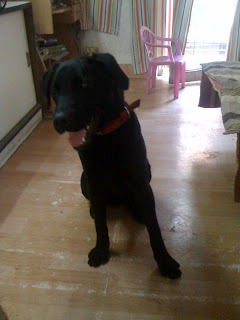 To Adopt him, call Mamta Singh at 9811157422.
and clear your head before writing. I've had difficulty clearing my thoughts in getting my thoughts out. I do take pleasure in writing however it just seems like the first 10 to 15 minutes are wasted just trying to figure out how to begin. Any suggestions or hints? Thanks!